Feel free to add to the list yourself. 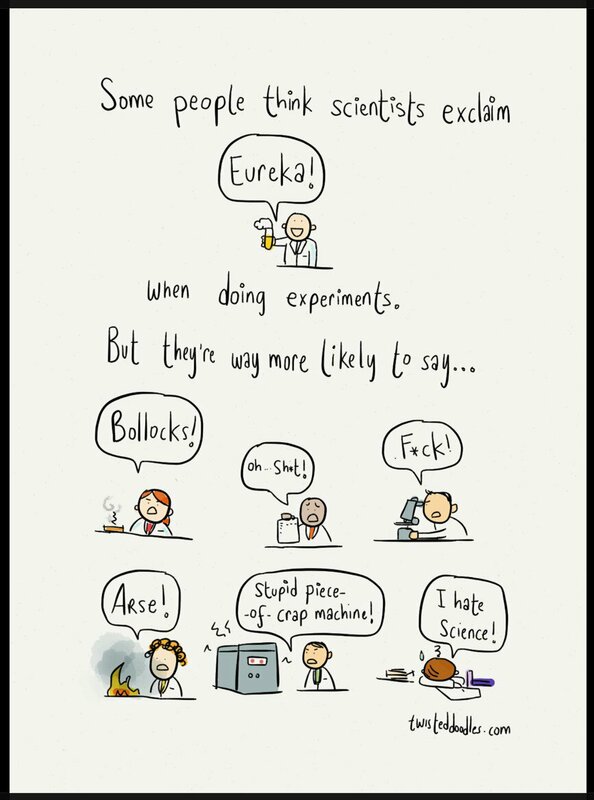 Incidentally, when people think “Eureka!” you’ll probably hear them say something like “YourEEKa!” For shame. It’s Ancient Greek. The emphasis would have been on the first syllable, not the penultimate one (which was more of a Latin thing). So, “YOUReka!” then. That’s what scientists say.